1 big thing: "Space Force all the way!" 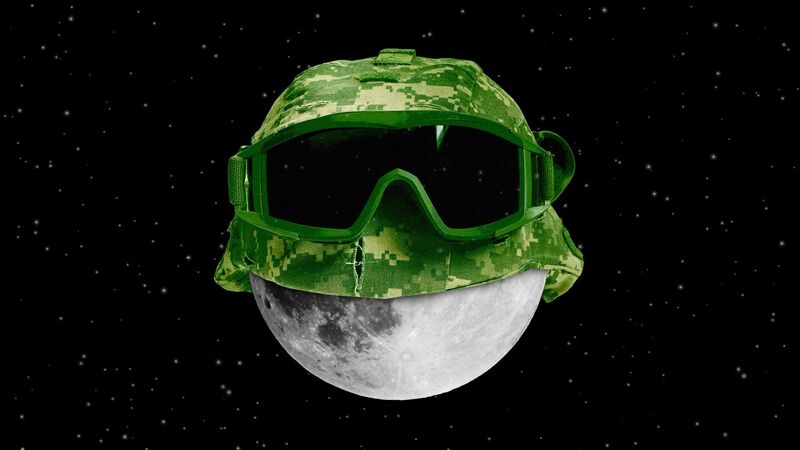 President Trump's Space Force got a lot more real today: The Pentagon has begun the process of establishing it as a 6th branch of the U.S. military by 2020. The big picture: Only Congress has the power to create a new branch of the military. The Space Force will start with a new combatant command overseen by a four-star general. Details: In a speech with Defense Secretary James Mattis today, Vice President Mike Pence outlined the first stages of a plan that the Department of Defense will deliver to Congress to develop a U.S. Space Force. The plan includes four pillars, including the need to "strengthen deterrence and warfighting options." The Defense Department is requesting that Congress appropriate another $8 billion for space security systems over the next 5 years and will work with Congress to enact a statutory authority in the National Defense Authorization Act for these programs. Pence and Mattis cite anti-satellite weaponry and other technologies by countries such as China and Russia, as emerging threats that must be countered. Trump tweet after the announcement: "Space Force all the way!" Axios' Andrew Freedman emails: "This strikes me as an interesting balance between the Pentagon trying to placate Trump, initially with a combatant command that has a 4-star general, while working toward establishing a space force as a separate military branch." "The new command supercedes the existing Space Command within the Air Force. But the Space Force! slogan is like a rallying cry at Trump's events now, people wear t-shirts with it on there." The bottom line: The next debate will be whether a sixth branch of the Defense Department, and the bureaucracy that it includes, is the best way to tackle that problem. Dogs and their humans at an "ALPHA - Bring Your Own Dog (BYOD)" screening in San Francisco. More than 2,000 prisoners are fighting California's record-breaking wildfires, but complex licensing laws make it unlikely they'll get firefighting jobs after release. Go deeper. Facebook is banning sites that host downloadable files for 3D-printed guns from its platform, BuzzFeed News reports. Israel is furious at its longtime ally Colombia, whose outgoing president recognized Palestine as a sovereign state during his last days in office. Go deeper. One Australian drug company just keeps tripping up House Republicans, even thought it's had only one (failed) product in one (failed) clinical trial. Go deeper. A new audiobook from J.K. Rowling's publishing house will dive even deeper into the magical world that birthed Harry Potter, narrated by Natalie Dormer of "Game of Thrones." "'Harry Potter: A History of Magic'" will go on sale Oct. 4. ... [T]he book will feature "hidden stories" about magic and tell of the manuscripts, myths and other artifacts that J.K. Rowling drew upon for her blockbuster fantasy series."